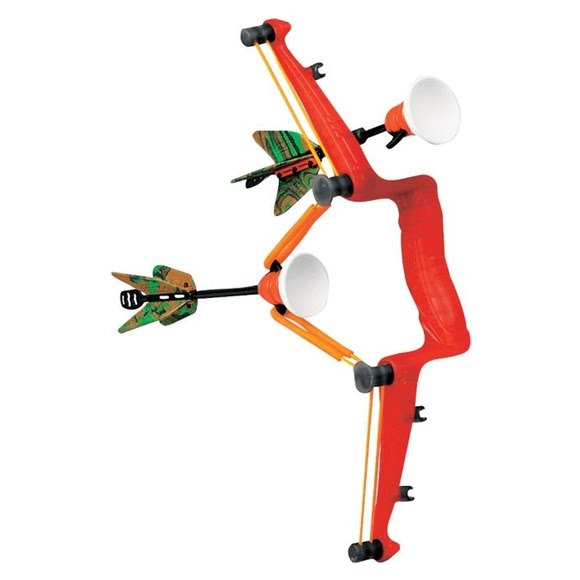 Zing Toys Air Hunterz Zano Bow is the perfect indoor Archery Set! The Zano Bow shoots arrows over 30 feet that stick to almost any flat surface. Includes wall target for awesome indoor target practice in the bedroom or the office!